Whether you’re planning on exploring America for several months or organising a much shorter jaunt, it’s well worth to travel from Los Angeles to Mexico. These two vibrant destinations have great beaches and reliable sunshine in common, but offer very different attractions – something that makes them a great combination for visiting in a single trip. Of course, one of the key questions to ask yourself when planning any multi-centre break (no matter how brief) is how you’ll travel between the two places. When it comes to LA and Mexico, we think the ultimate option is cruising. You can make a round trip between the destinations in as little as three days – perfect as a luxurious extra to a longer holiday. Unlike other forms of transport, cruising is inherently relaxing, making it ideal for the traveller who wants to see a lot without being exhausted by their journey. Of course, the added benefit of cruising is that you get to enjoy all the luxury that comes with it. To get the most from your cruise, make use of the onboard facilities, like spas and swimming pools, as well as enjoying the amazing cuisine and bars. Visit this website to find out more. Your cruise will begin in LA, so it makes sense to explore the place thoroughly before you set off. If you can, divide your time between the City of Angels itself, and the Greater Los Angeles Area region, since both are home to some amazing attractions. US cities are known for their amazing shopping opportunities, and LA certainly doesn’t disappoint. Among the shopping highlights is Rodeo Drive – a street packed with designer brands that’s famous for its appearance in the film Pretty Woman. This is a location for the highest of high-end shopping – but even if you only come to gaze at the window displays, the experience is well worth it. Hollywood Boulevard is one of the best places to soak up LA’s movie magic. It’s here that you’ll find the Walk of Fame, which is home to hundreds of stars embedded in the pavement – most of which are engraved with the names of the best in the business. Some, though, remain blank, ready and waiting to honour future talent. Taking a walk along here and seeing who you can spot is an absolute must. Your port of call in Mexico will likely be Ensenada, one of Mexico’s most important port cities. Boasting an impressive tourism infrastructure and a Mediterranean climate, this is one of the ultimate places to come to relax and have fun. One of Ensenada’s top attractions actually lies just south of the city, in the peninsula of Punta Banda. One of the largest marine geysers in the world, it shoots water up to 65 ft in the air. As well as being impressive in itself, it offers absolutely gorgeous views across the coastline. If you like, you can also hop on a boat at the local port to explore the Sea of Cortes. 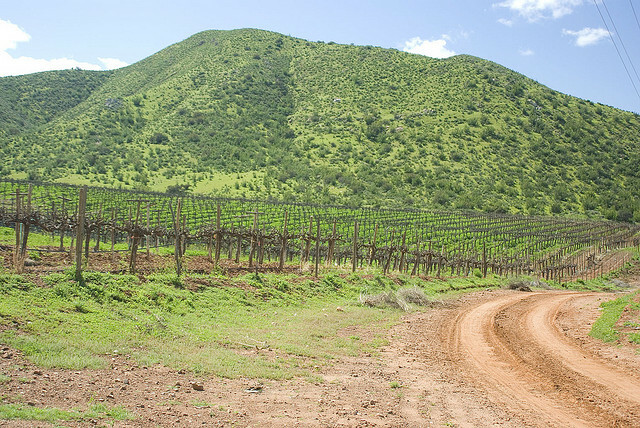 Ensenada is also a gateway to the region’s wineries, making it a must-visit for anyone who is passionate about wine. Among the wineries you can visit for a tour and a tasting session is Bodegas de Santo Tomas, which produces cabernet, chenin blanc and pinot noir, among others.